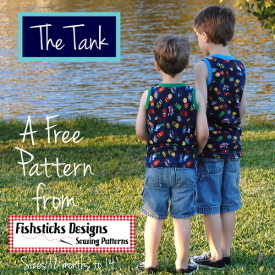 Introducing the Go Fish Pattern Series! I’ve had this idea running through my head for a little while. I tend to be an instant gratification sewist. I LOVE projects that can be finished in an afternoon or an evening, and while I know some of you enjoy tackling involved long-term projects, I’m pretty sure that there are others out there just like me! My idea was to create a series of patterns that are inexpensive, available both as PDFs and tri-fold sewing cards, and quick as can be. All of the Go Fish patterns are sewn with basic rectangles that are cut with your quilting mat and rotary cutter using the included measurements. 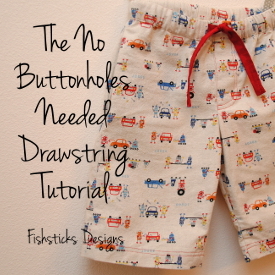 (No need to print any pattern pieces!) 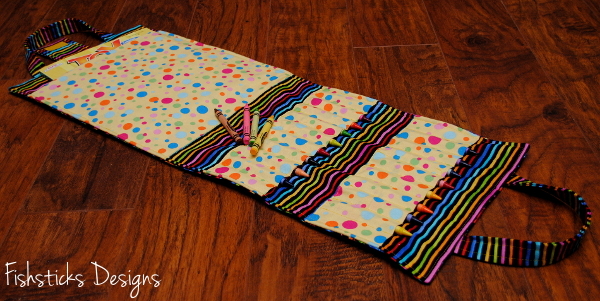 These patterns are not quite “no frills” – I tried to put a little extra something in each one. The first six patterns in this series will all be available as PDFs on my site tomorrow morning, and as sewing cards at your favorite local quilt shop in November after Quilt Market. They will be priced at $4.25 retail in both versions. 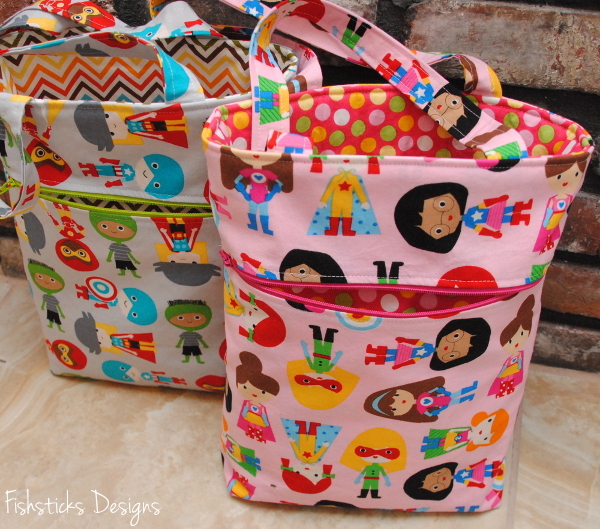 First up is the Fun-to-Go Kids’ Tote. This tote bag is sized perfectly for little ones from preschool through elementary school to carry the fun with them everywhere they go. 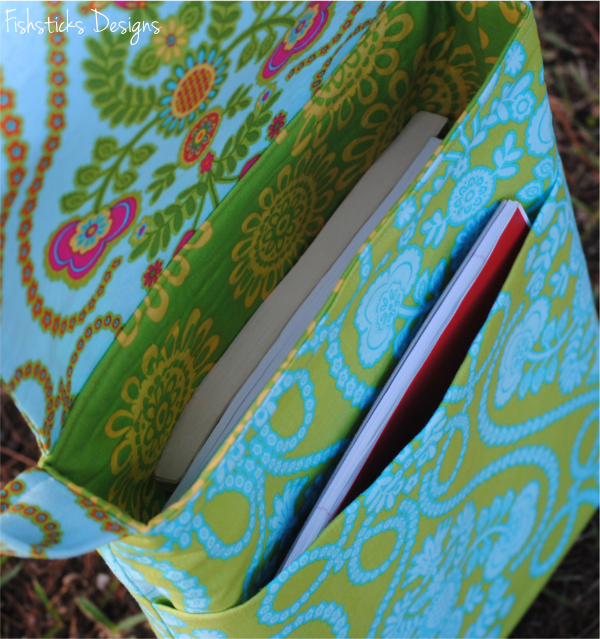 (My testers tell me that it’s also a great project bag for you knitters and crocheters!) 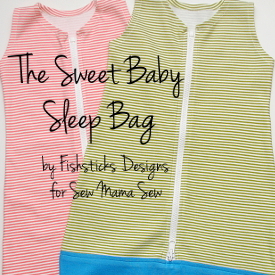 The lined front zipper pocket is super easy to sew in (I promise! ), and it provides the perfect spot for those little things that you don’t want to disappear. Next up is the Let’s Go, Baby! Diaper Clutch. 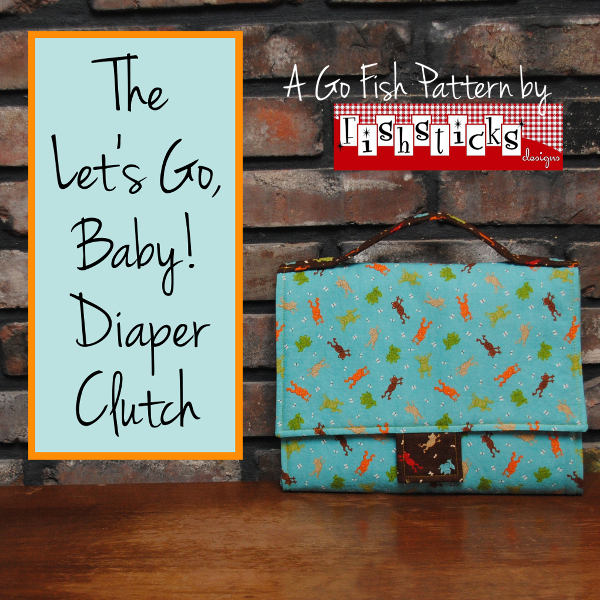 This handy clutch is easy to grab and go when you’re just running out of the house for an errand or two, and it will fit right inside your diaper bag for quick changes on longer outings. 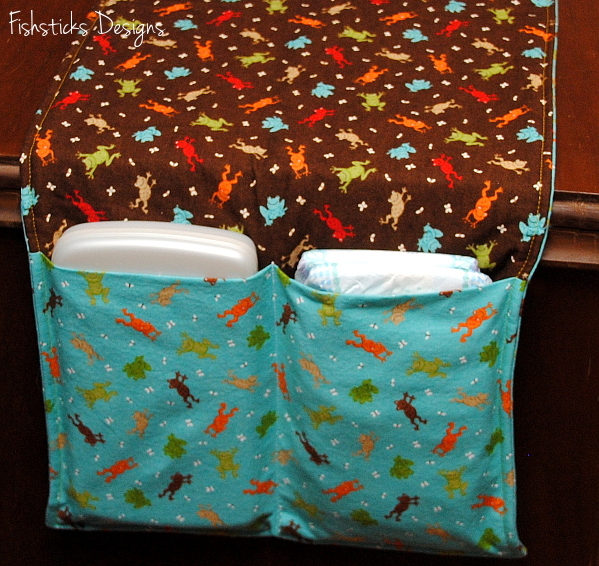 The clutch unrolls to reveal a changing pad and pockets for diapers and wipes, then rolls back up again in a flash. 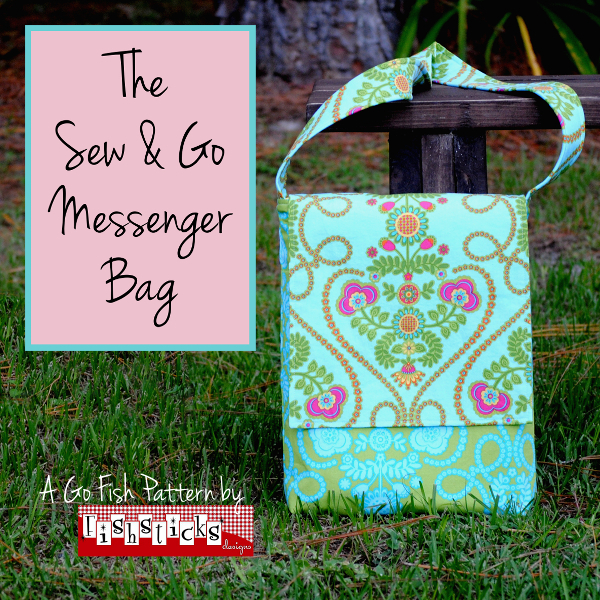 The Sew & Go Messenger Bag features two strap lengths and a hidden front pocket. It’s the perfect bag for school books or business papers — it’ll even hold most laptops! The flap closes with just a flip and no other fasteners. 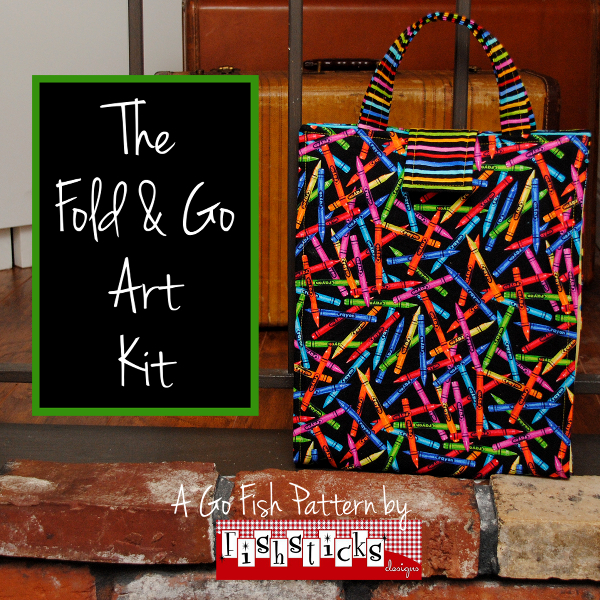 The Fold & Go Art Kit is just what your little budding artist needs to keep his little hands busy at home or away. The large pocket on one side holds full-size coloring books and sketch pads, while the 20 smaller pockets on the opposite side are sized just right for your favorite crayon colors. The kit folds up and closes with a hook & loop tab. I couldn’t leave out something for the kitchen, since we spend so much time there! 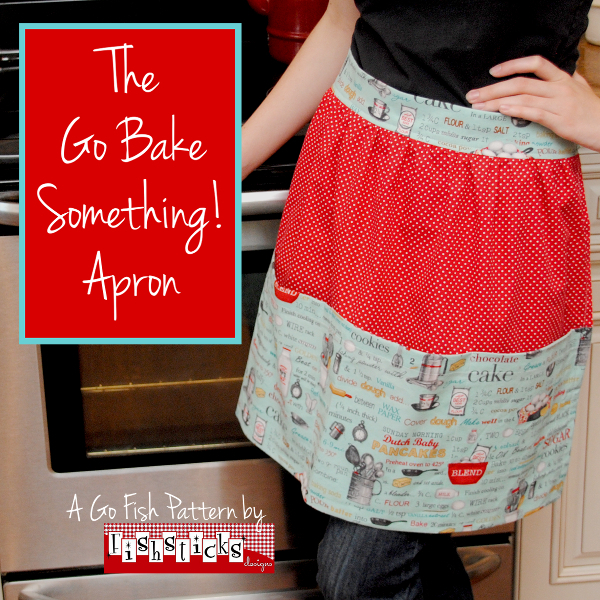 Meet the Go Bake Something! Apron. 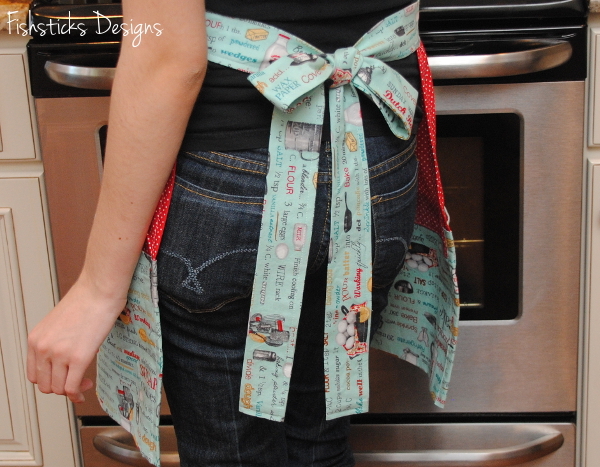 This modern take on the traditional half-apron makes a great gift for someone else or to keep for yourself. It fits sizes 4 to 16, and the four roomy pockets will make any cook happy! 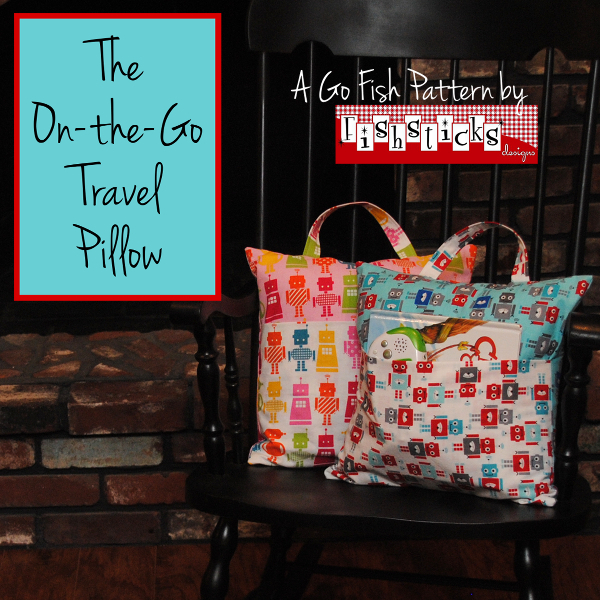 Wrapping up this first group of Go Fish patterns is the On-the-Go Travel Pillow. 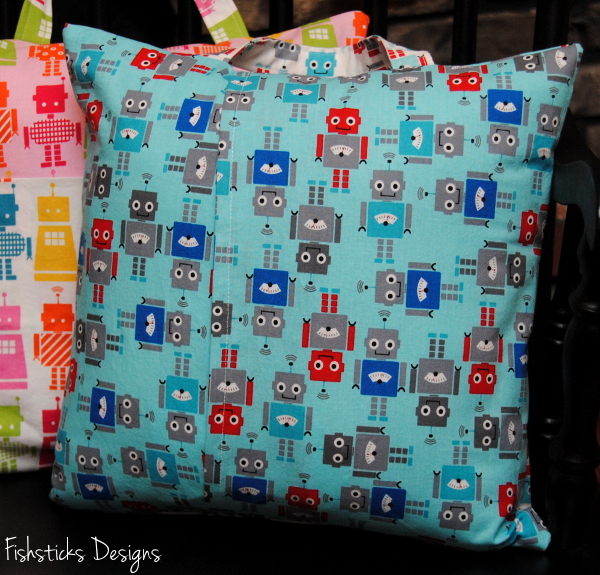 This little pillow is perfect for long car trips, sleepover parties or overnights at Grandma’s house. The pocket on the front is a great place to hide a favorite book, toy or video game, and the handle makes it easy to take along. The sham-style closure in the back makes the cover easy to remove for washing, too! That’s all for now! What do you think? Which one is your favorite? I think these would be great for Christmas, birthday and shower gifts, and for those of you who are WAHMs, these are just the thing for making multiples for those upcoming holiday craft shows! « Comfy Pants for the Whole Family at Cutting Corners College! Fun collection! I especially love the kid’s tote. Very cute! these are awesome!! I too am an instant gratification sewer! 😉 I think I like the fold and go art tote or the diaper clutch. I love these! This will be a fun departure from sewing and can see the Fun to Go Kid’s Tote and Fold and Go Art center being huge hits with customers! They will be for me anyways LOL! I’m not sure how it’s constructed but it looks like the Kid’s Tote could be lined with PUL and throw some Insulbrite in for an adorable lunch tote? I mean to say a fun departure form sewing clothes HAHAHA! Oops. Exciting…the messenger bag looks like it’s just what I need!! They all look great! Will there be a bundle for the whole set of quick sew items? I love the messenger bag, and the pillow, and the art tote! 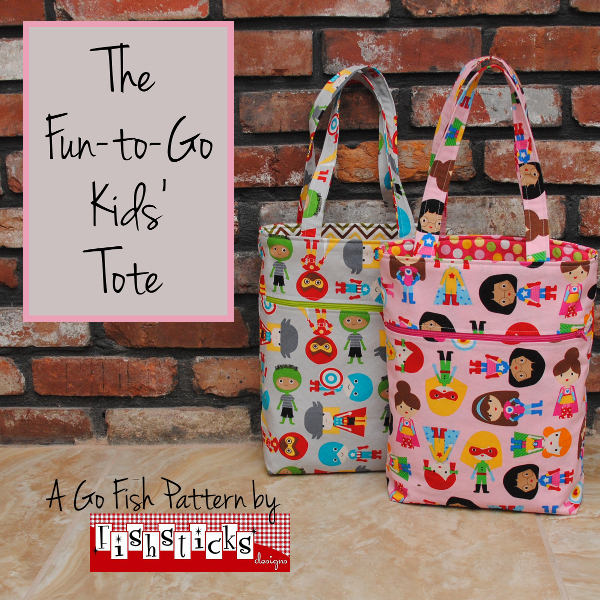 I really love them all but I think I would start first with the Fun to Go Kids Tote!! Very cool! I think the small pattern and price will be very enticing to many! Good work (and how, oh how do you come out with these when you’re expecting #7?!) I like the diaper clutch and just might be buying that one to make for myself. I like the fold and go art tote and the travel pillow. These are perfect for my grandchildren since they travel to Doctor appointments which are several hours away. 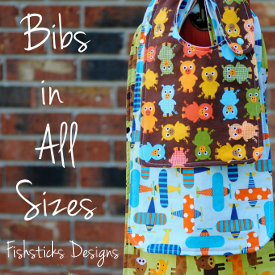 I love this collection, my favorite is the Fun to Go kid’s zippered tote bag. My granddaughter loves totes & purses, she is always putting her things in bags, stuffing them full of her toys…she’s 3. Would love to make this for her. Incredible!! Wow! I love the patterns as for a favorite hard to pick! And so affordable! 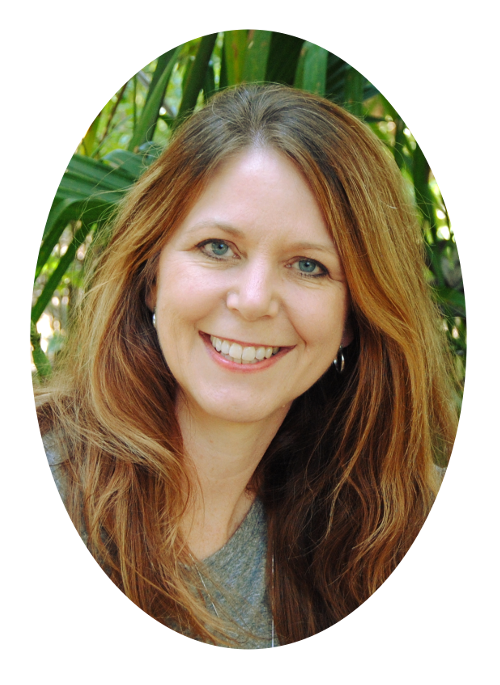 Way to go Bonnie! What a great selection of projects..love them all!! I can’t wait till these are available! I love them all!